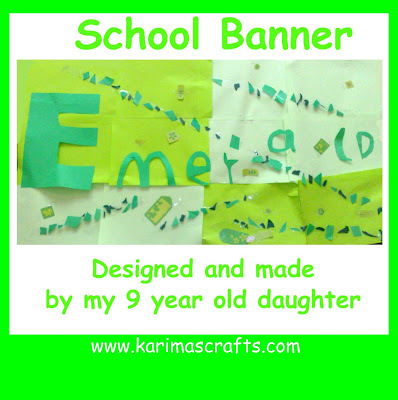 The photograph above is my eldest daughter holding the school banner that she made for school. 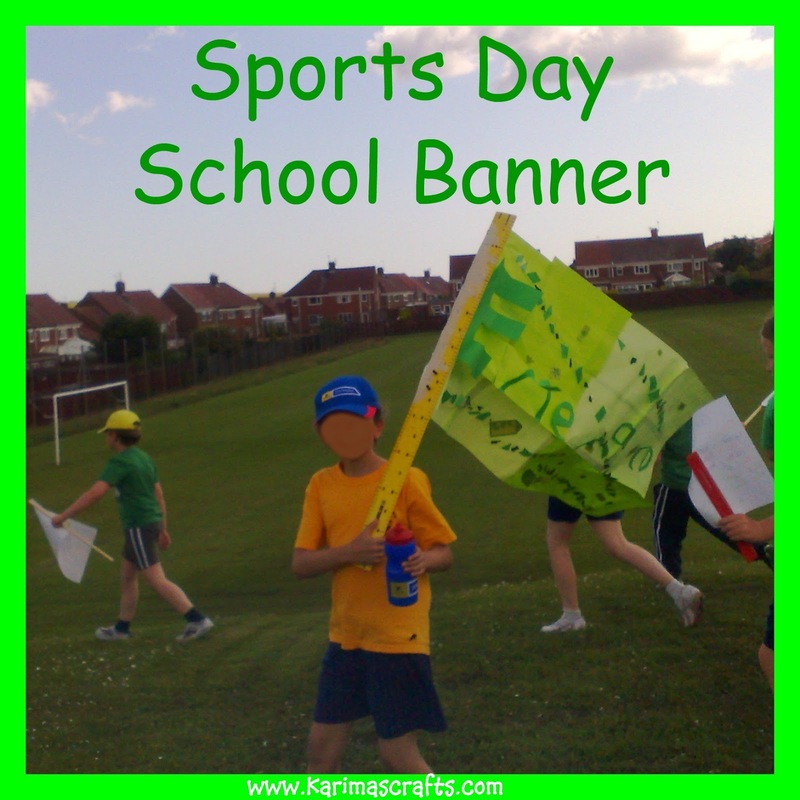 The school were holding their annual sports day and asked the pupils to design some posters and bring them in for that day. My daughter had to do one better and bring in a large banner! She made this at home in her room, only coming out to ask for glue and staples, she kept it as a surprise until she had finished it all by herself. I was quite surprised by the size, but she managed to hold it ok on the day! The photograph below is a closer look at the poster. 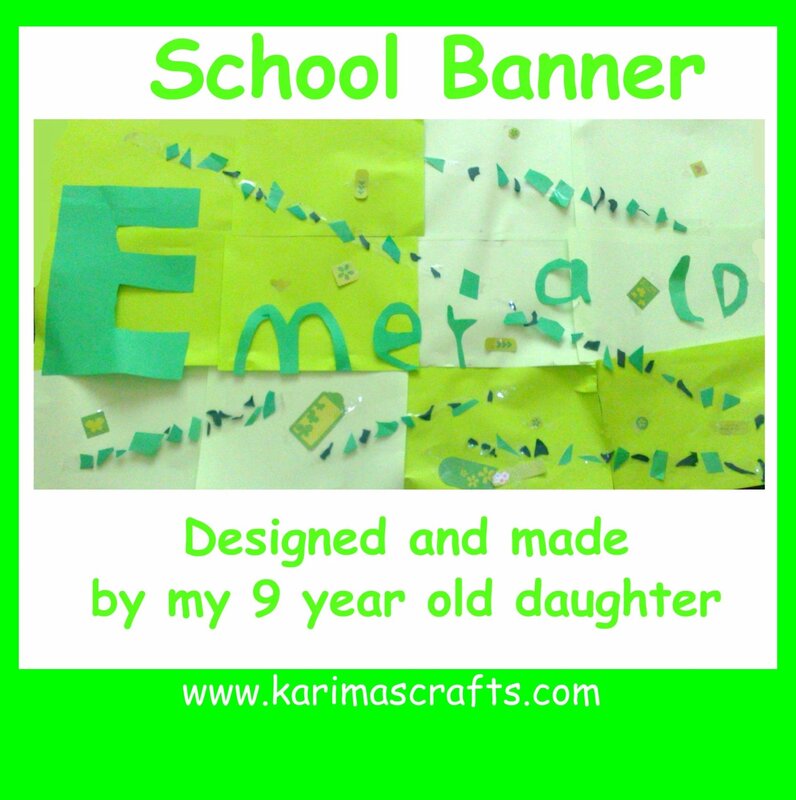 The wording on the banner is 'Emerald' which is the school house colour she is in. The banner is made up of 12 sheets of coloured A4 paper. She put quite a bit of work into this and considering it is the first banner she has made I think she did quite well. Thank you so much for finding me! I am following right back. What an awesome blog! Hi! How fun! I am a new follower!I would love it if you stopped by blog, take a look around and if you like what you see, follow me back! Thanks!